James Finnigan and his No. 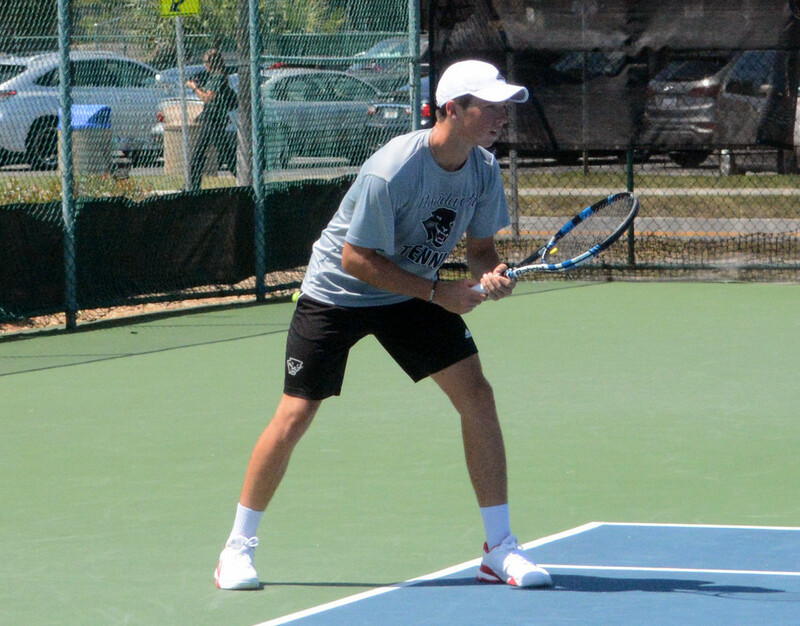 91st ranked Florida Tech Men's Tennis teammates took to courts of Desoto Tennis Center for a Sunshine State Conference showdown with the No. 37 ranked Embry-Riddle. Florida Tech did their best but lost its ninth straight match, 6-1. The contest did not begin in Florida Tech's favor as they dropped all three of the doubles flights. Finnigan and JJ Clark put together the best effort as they worked their opposition from start to finish, however they went down 6-2 to Alexis Guedy and Andrej Omeragic. The best match of the night came in the Singles Flight One Spot as Finnigan upset No. 54 Andres Donayre in a tightly contested battle, 7-5 and 6-4. This victory pushed Finnigan into a tie for No. 14 in all-time Florida Tech’s Singles wins.